DS3 Performance, Engine, Ride, Handling | What Car? A range of free-revving petrol engines and strong diesels are available, all of which provide the DS 3 with a good turn of pace. Even the smallest units – three-cylinder petrols with 81bhp, 109bhp or 128bhp – make the DS 3 usefully nippy around town, although the least powerful version runs out of oomph at higher speed. 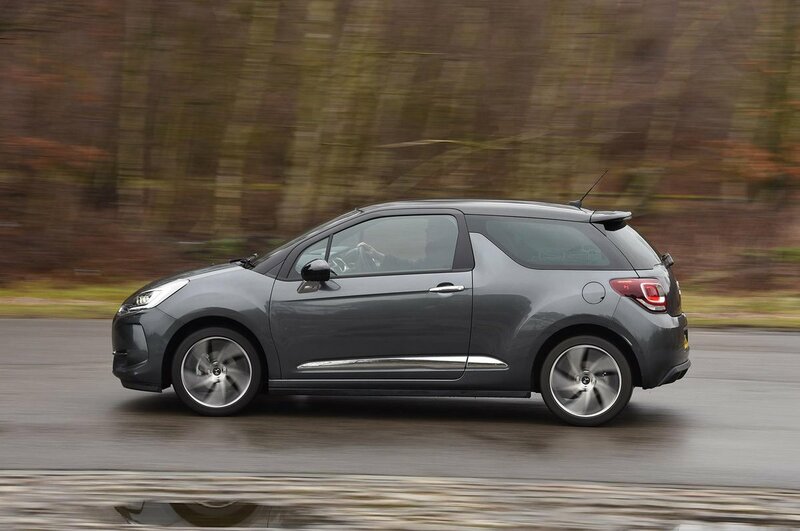 The two 1.6 HDi diesel engines – in either 99bhp or 118bhp form – are flexible and suit the DS 3’s dynamic character well. 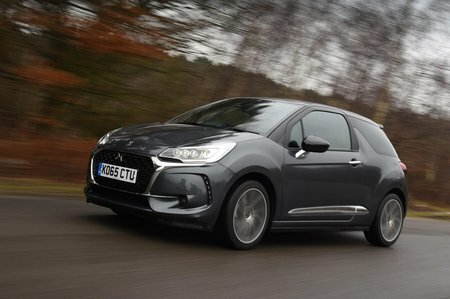 Finally, the Performance models get a turbocharged 207bhp petrol engine that will whiz you to 62mph in a smoking 6.5sec, which is slightly quicker than a Mini Cooper S.
The DS 3 is based on the C3 supermini, but its suspension is tuned to give a more sporty character. Better body control means that it’s not as flummoxed by big bumps or heavy braking, but the ride quality isn’t that great. It’s firm, whatever the road, and fidgets over poor surfaces. Versions with larger alloy wheels are even less forgiving. DS has given the 3 a lively character to match its looks. The steering responds quickly, so the car turns in to corners sharply and feels impressively nimble around town. At higher speeds the tyres grip well and body movement is reasonably well controlled, but the DS 3 is nowhere near as composed or engaging as a Mini, and the steering doesn’t tell you a lot about what’s going on beneath the wheels. The DS 3 is civilised for a small car, but refinement is very dependent on which version you go for. The turbocharged 1.6 THP engine is smooth and quiet, whereas the lower-powered three-cylinder units are lower-geared, so aren’t as hushed on the motorway. The diesel engines are among the smoothest around, but all versions with a manual gearbox have a vague clutch action and a rather woolly gearshift that are less welcome. Road noise is an issue if you have a car with 17in wheels, although every DS 3 keeps wind noise to an acceptable level.